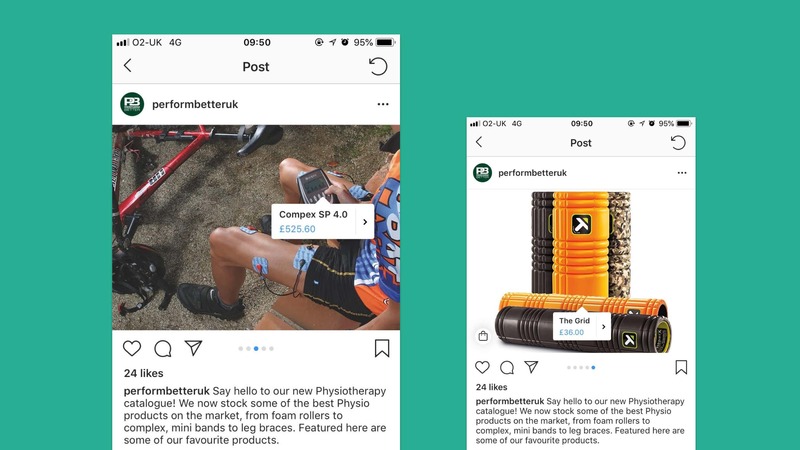 Rawww have recently been working with sports and training equipment supplier Perform Better to implement shoppable Instagram product tags into their post. After noticing competitors on Instagram had begun ‘tagging’ images with hot spot links of their products, Perform Better were keen to harness this feature for themselves and asked for our help. Shoppable Instagram posts are positioned clickable areas of the photos (placed over the products themselves) that link directly to the relevant shopping cart page when tapped within the app. They can display the name of product and also the price. After researching thoroughly into the relatively new shoppable posts feature (only officially released to most locales in March 2018), we needed to confirm the best way to implement Perform Better’s product catalogue that was built using Woocommerce. Since Facebook acquired Instagram and the two services now integrate with each other, to enable shoppable posts an Instagram account must be associated with the company Facebook page. We also had to make sure Perform Better’s account and product catalogue were eligible to be used alongside the shoppable feature and recreated the product catalogue within Facebook Business Manager. The team then got their heads stuck into the documentation on indexing products to the catalogue. An hour or two later, the 690 products from Perform Better’s website had pulled across from Woocommerce to Facebook Business Manager and were ready for Facebook to manually approve. Within a few days a dialog box appeared within Instagram inviting us to enable the new shoppable feature. 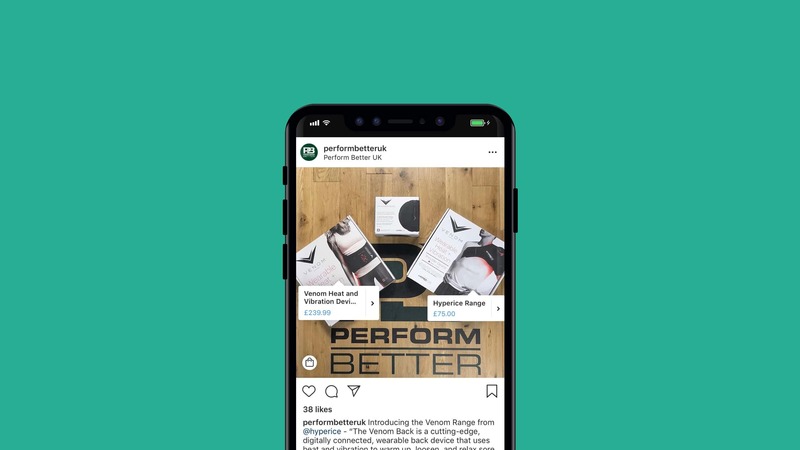 Perform Better are now able to add shoppable posts to their feed, engage more customers and increase revenue through social. If you’re interested in setting up shoppable Instagram posts for your business or need a hand creating social media strategy, get in touch with Rawww today. We’d love to help.